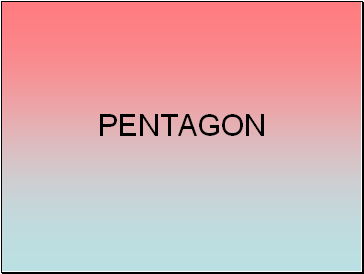 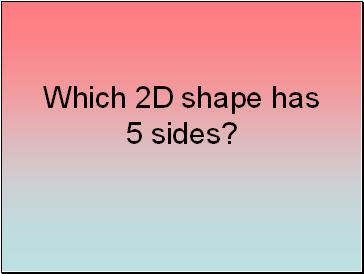 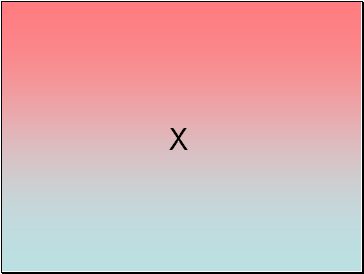 Which 2D shape has 5 sides? 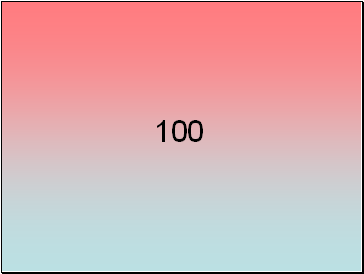 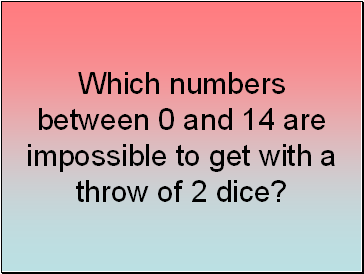 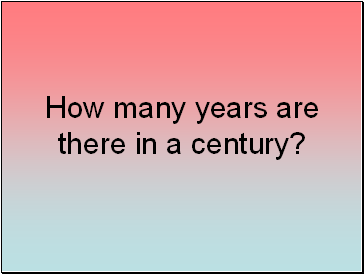 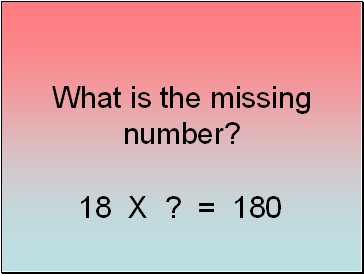 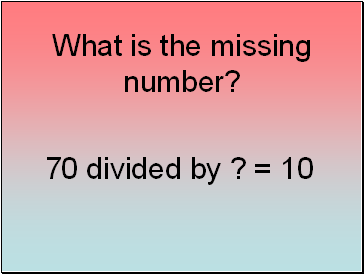 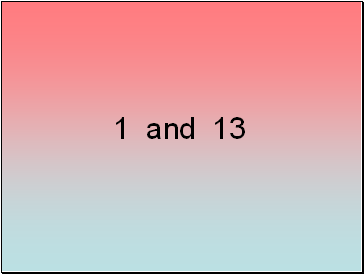 Which numbers between 0 and 14 are impossible to get with a throw of 2 dice? 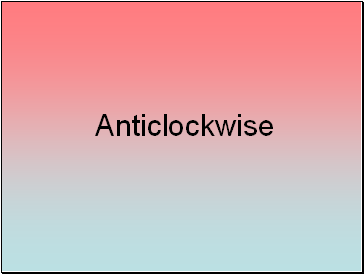 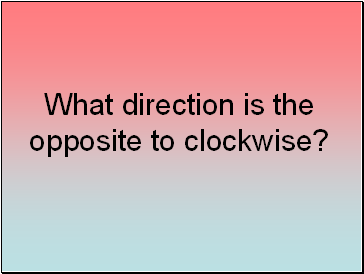 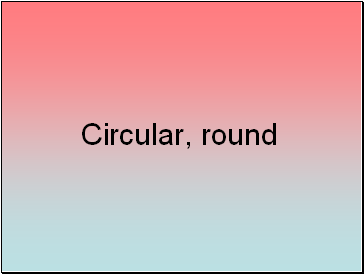 What direction is the opposite to clockwise? 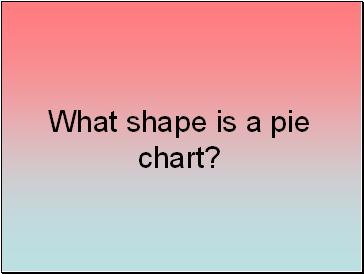 What shape is a pie chart? 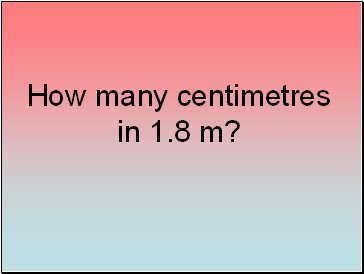 How many centimetres in 1.8 m? 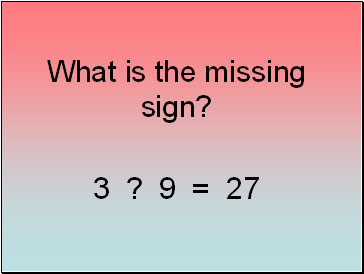 What is the missing sign? 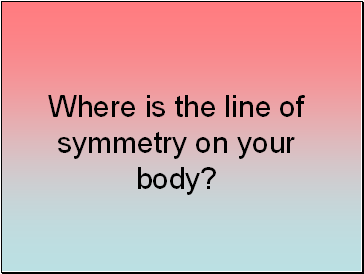 Where is the line of symmetry on your body? 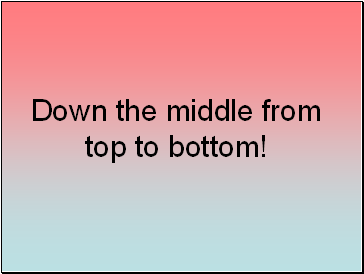 Down the middle from top to bottom! 9/10 - Very Good indeed! 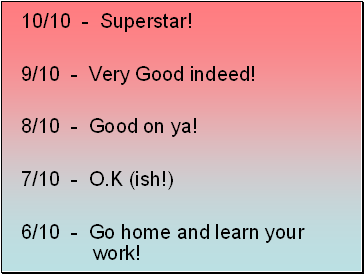 8/10 - Good on ya! 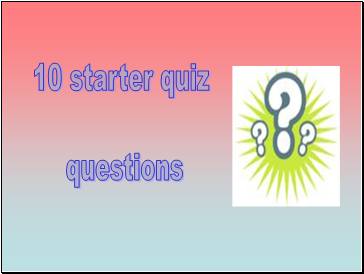 6/10 - Go home and learn your work!